The future lies in the hands of the youth. The brilliant young minds who take charge today will be the pioneers of a brighter and better tomorrow. Sadly, of the 1.2 million children who start school every year, only 5% will complete a university degree. That’s why Argo is trying to inspire talented young minds to become Future Stars. As a multi-media communications company, Argo is passionate about supporting achievers and bringing lasting change through education and youth media. They’ve launched many education-focused magazines and handbooks and, living up to their brand values, Argo informs, involves and inspires more than 1-million top achieving pupils, students and the people who influence them. Future Stars is Argo’s latest initiative targeted at aspirational youth under the age of 21, to motivate them to believe in themselves and in education’s power to help them achieve their dreams. With the massive 5 year success of Stars in Education, through which Argo recognises the most inspirational and dedicated teachers in the country, they decided to launch a campaign for the aspirational youth. Motivated teachers can only really make a difference when they deal with pupils who are inspired to learn. Having someone who believes in you is a powerful motivator that gives you the support you need to realise your full potential. But so many of our young people don’t have the power of this support that keeps them working hard to build a better future, and sometimes it’s easy for them to give up. That’s why Future Stars is recognising that the future stars out there – those learners willing to stand in lines that go on for kilometres in the blistering sun for the hope of a university education. By recognising their desire for a brighter future and believing in them – Future Stars is inspiring these learners to believe in themselves and how the power of education can help them reach their dreams. 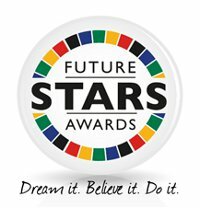 Enter the Future Stars competition now by simply going to https://sastudy.co.za/article/future-stars-awards-competition/ and stand a chance to win some amazing prizes! Don’t forget to get your friends to VOTE for you to increase your chance of winning! SAstudy.co.za is Argo’s premier information source and reaches more than 275 000 university students, high school pupils, parents and opinion leaders in South African education. It’s the perfect information hub for prospective students across beautiful Mzansi, offering them support with life skills, financial advice, institution information and course.